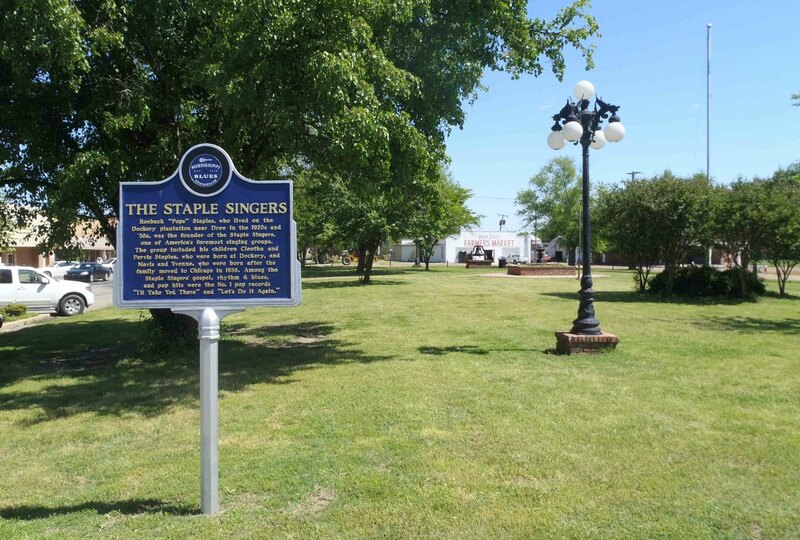 The Mississippi Blues Trail marker commemorating the Staple Singers is in Drew, Sunflower County, Mississippi. Here’s a video of the Staple Singers performing Respect Yourself and I’ll Take You There at the Rock and Roll Hall of Fame Induction Ceremony in 1999, when they were inducted into the Rock and Roll Hall of Fame.. 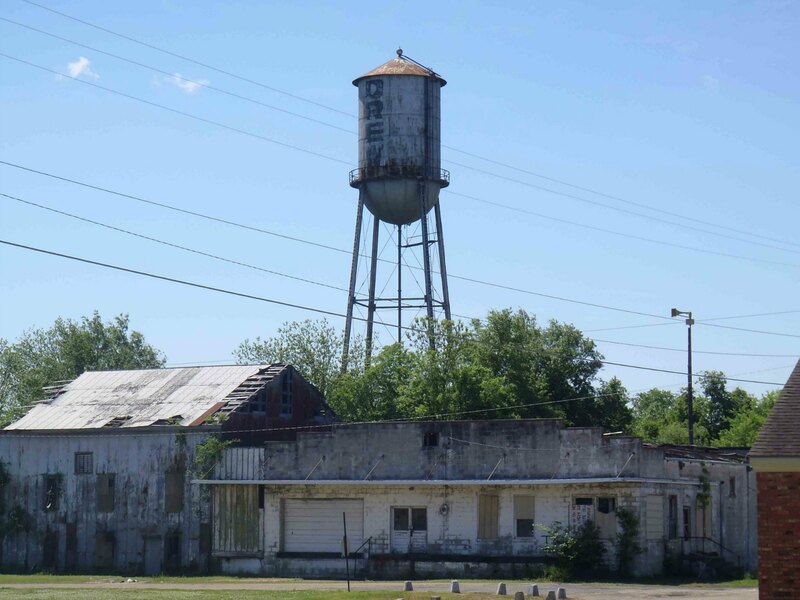 Here are some photos of downtown Drew, Mississippi, near the Mississippi Blues Trail marker for the Staple Singers. Main Street, Drew, Sunflower County, Mississippi.